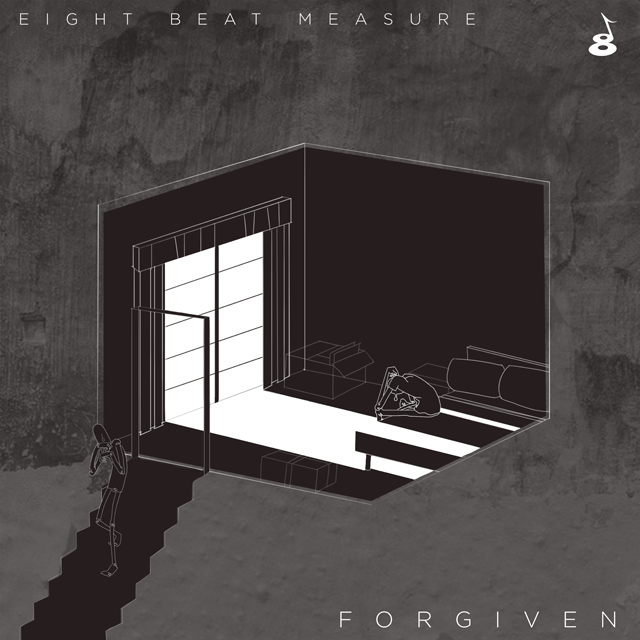 RIT's Eight Beat Measure Blend Raging Vocals & Striking Production On New Single "Forgiven"
"Forgiven" is the latest single from Eight Beat Measure of the Rochester Institute of Technology, and we can honestly say that it packs quite a heavy punch. The Kwabs track is so much more than what you'd expect from a song labeled as alternative or indie. It has a raging fire to it, bursting with life and fervor. From the jump, the track establishes an identity of intense and emotive vocal stylings that's out to capture the listener on a deep level. While elements of alternative are felt throughout, what truly captures the imagination are the soul and blues influences, which are sneakily incorporated and often displayed by the lead vocalist or delivered by the chants and excerpts of the backing group. The sound is furthered even more by striking percussion and a solo who leaves it all on the studio floor, which delivers an authentic musical connection between band and audience. The project's production is absolutely pristine, allowing listeners to feel every nuance from the pounding of the percussionist's bass to the warm tones of the mids. The song is fitting of today's collegiate a cappella scene as more groups are foregoing the usual pop hits for unpredictable indie and lesser known works that deliver both a lyrical and musical impact. This is a single that we absolutely endorse and know you'll enjoy. Listen to "Forgiven" on Spotify, here. Check out "Forgiven" on Apple Music, here.